I am diving in head first and working on close reading and text dependent questions with my Kinders. 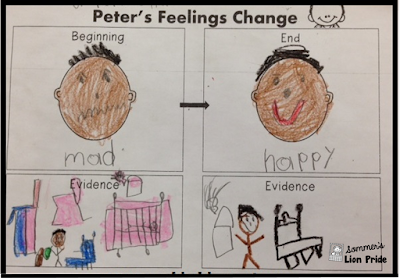 This week during our Families unit, we read Peter's Chair by Ezra Jack Keats. During our close read, we worked on examining Peter's feelings. At the beginning of the story, how was he feeling about having a new sister in his family? What evidence in the text did we find? -He was mad because all his stuff got painted pink. -He wanted to play, but his mom told him to be quiet. At the end of the story, had Peter's feelings changed? What evidence did we find? -He came back inside the house. -He joked around and tricked his mom. -He wanted to paint his chair pink for his sister. 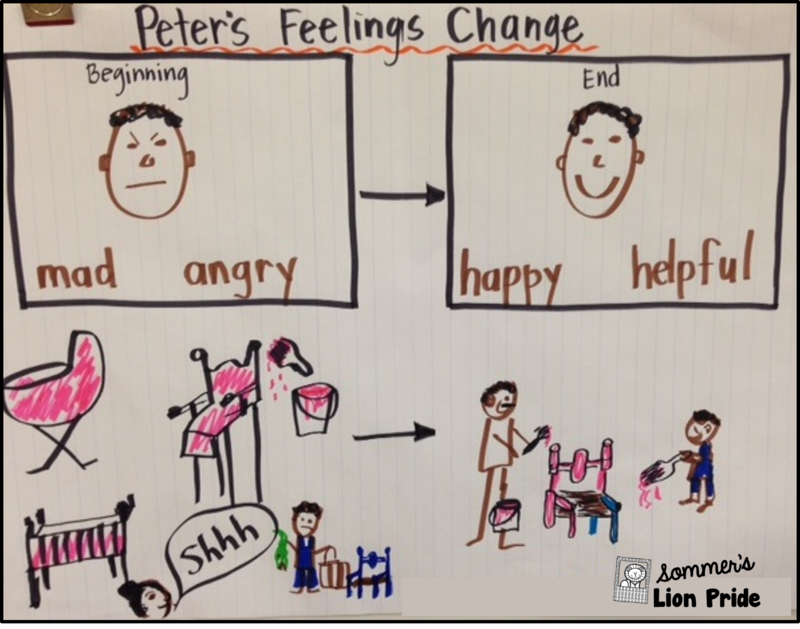 We created a class flow map to show how Peter was feeling at the beginning and the end of the story and we added drawings of our evidence. 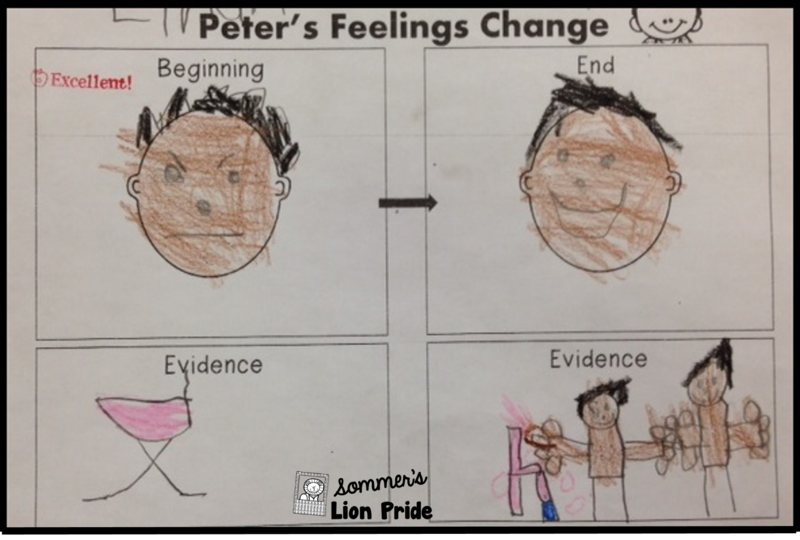 I am "guiding" the students a lot during these lessons, but I know that in a few months they will be pros at using evidence from the text to support their answers! Thumbs Up for Thinking Maps! 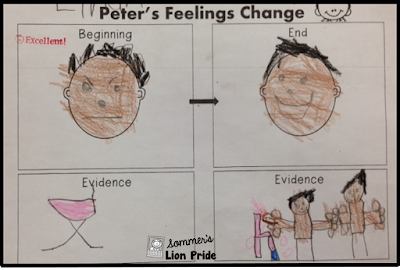 Here are some of the Thinking Maps that we created in class over the past three weeks. First is a Tree Map that we used to show our 5 senses. Next, here is a Bridge Map we made while reading the book Whose Baby Am I? The map is read like this: A baby panda is a cub, as a baby giraffe is a calf, as a baby penguin is a chick, etc. 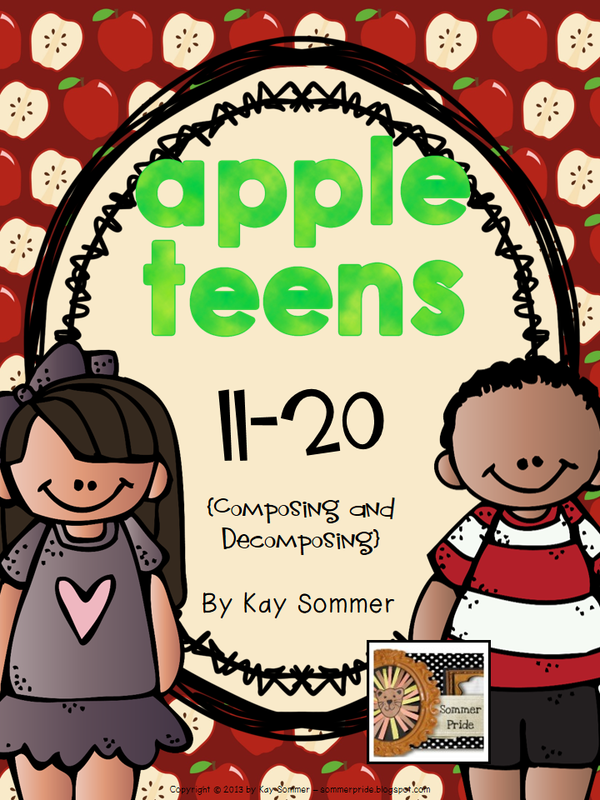 I was happy to find a great website for book resources Kizclub.com where I found printable pictures for this book. I also used the pictures to create flannel board pieces. I attached a small square of the rough side of velcro to the back of the pieces and they easily stick to the black flannel board. 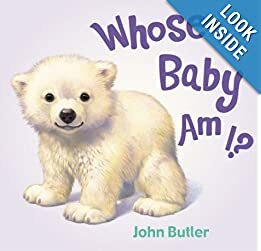 The students can match up the animal mom to the animal baby. And finally, a Circle Map showing what we do together with our families. I created a writing activity to go with this map. I had the students choose 3 activities from the circle map that they do with their families. They drew the pictures and then wrote a word (or traced my highlighter writing) that matched each picture. 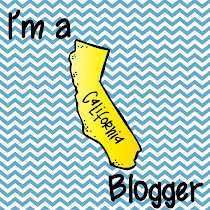 September Facebook Frenzy is Here! Well it's time for another Facebook Frenzy!!! Are you as excited as I am? The themes for this month are autumn and apples. It begins Friday, Sept. 20 at 8 am EST and runs through Monday, Sept. 23. I am participating in the K-1 loop. You may also be interested in the 2-3 or the 4-5+clip art loops. You can pick up my latest product for FREE! 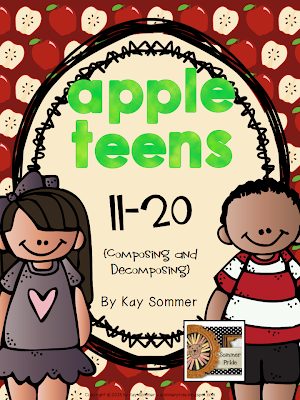 I created an apple themed math product which reinforces the teen numbers 11-20. 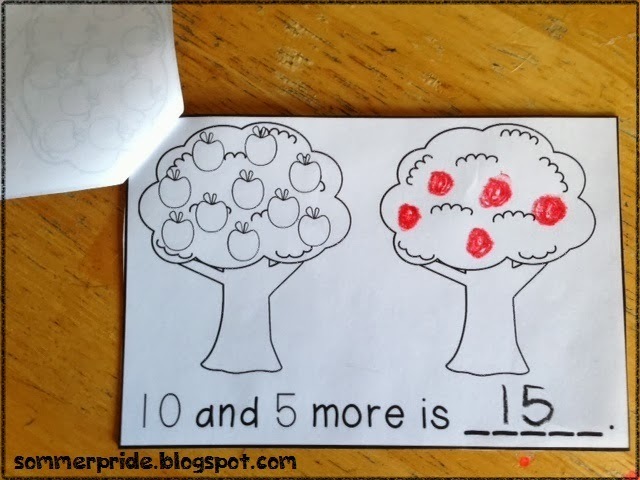 It includes materials for 3 activities. Head over to my Facebook page to get started. Click on the FB Frenzy tab and enjoy all the great FREE STUFF! At this point in the year, most of my Kinders are working on letter recognition, so I changed out the sight words for the alphabet. I printed the uppercase letters on yellow construction paper and the lowercase letters on white. 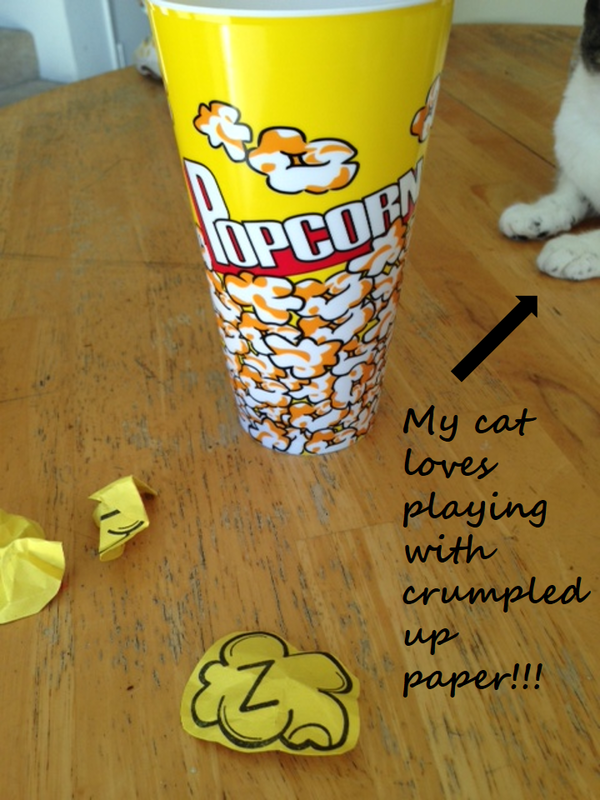 I cut around each piece of popcorn, crumpled up the papers, and put the pieces in the popcorn containers. 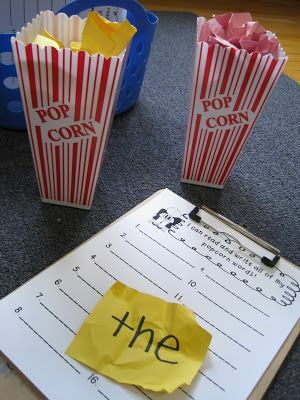 Students pull out a piece of paper, smooth it out, and say the letter. You could also have them trace the letter, or use a crayon, dot marker, or highlighter to mark the letter. I have included a few different recording options for you to use. 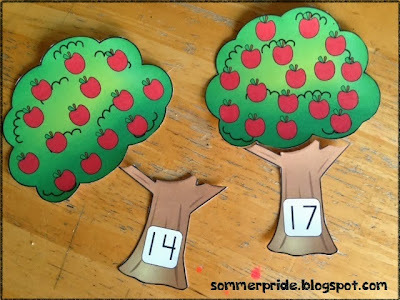 I teach my students how to figure out the name of an unknown letter by using an alphabet chart and the alphabet song. When a student doesn't know the name of a letter, they find the matching letter on the alphabet chart and place a clear colored marker on it. Then they sing the alphabet song as they point to each letter. When they get to the letter with the marker on it, they stop singing. The last letter they sang is the name of the unknown letter! You can download the printables for this center HERE!